Buy Retro Replica Italy old fashioned football shirts and soccer jerseys. These Retro Replica football shirts are authentic reproductions of classic football strips and kits from years gone by. 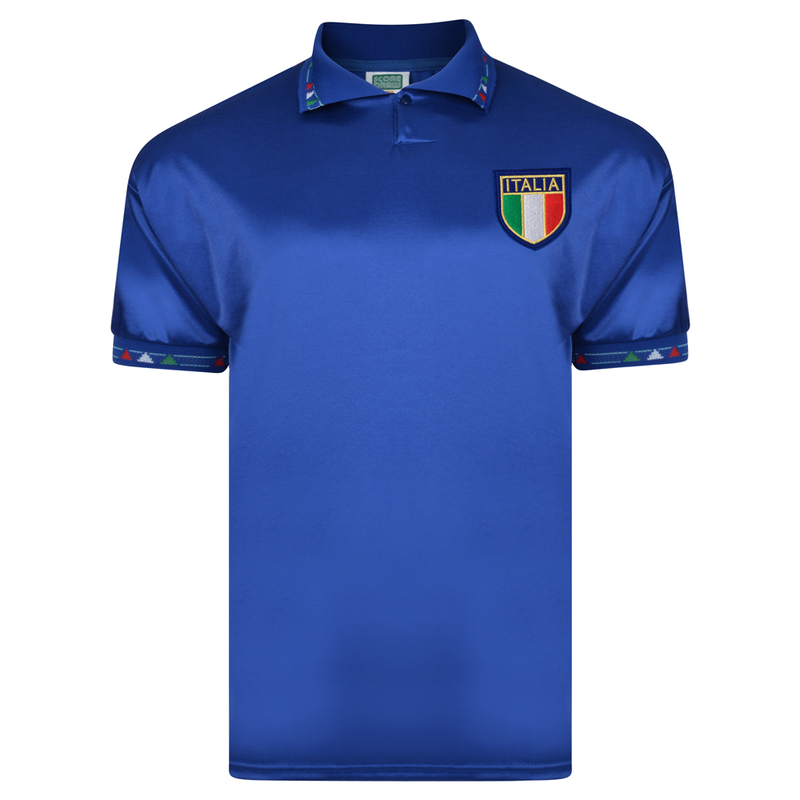 If you are looking for original vintage Italy shirts click here. Available direct from Toffs Ltd for just £10. Available direct from Toffs Ltd for just £42. Available direct from Toffs Ltd for just £43. Available direct from Toffs Ltd for just £35. 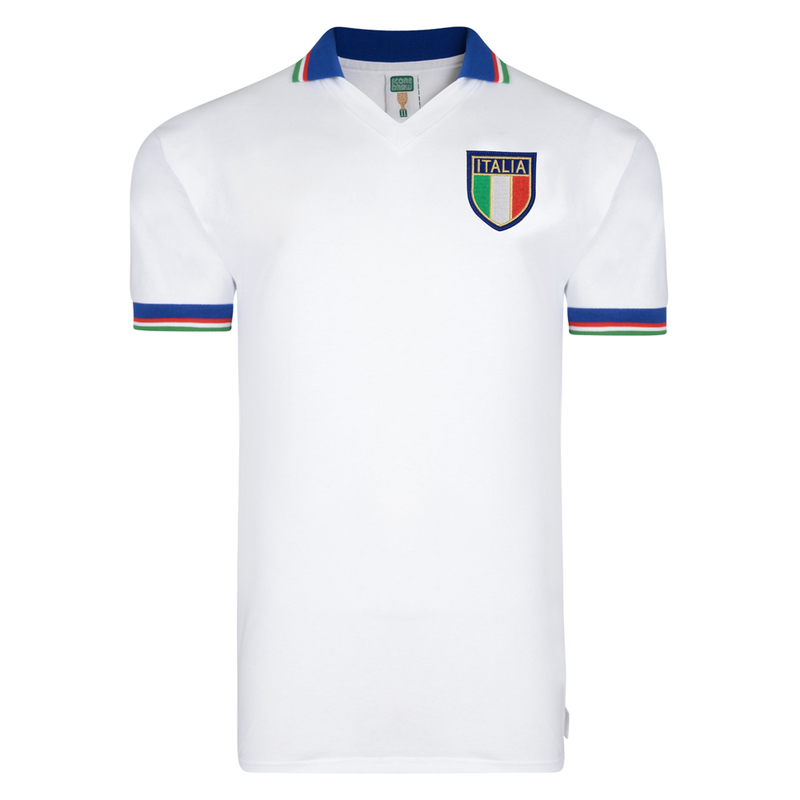 Italy 1954 Away Retro Football Shirt. Available direct from Toffs Ltd for just £37. 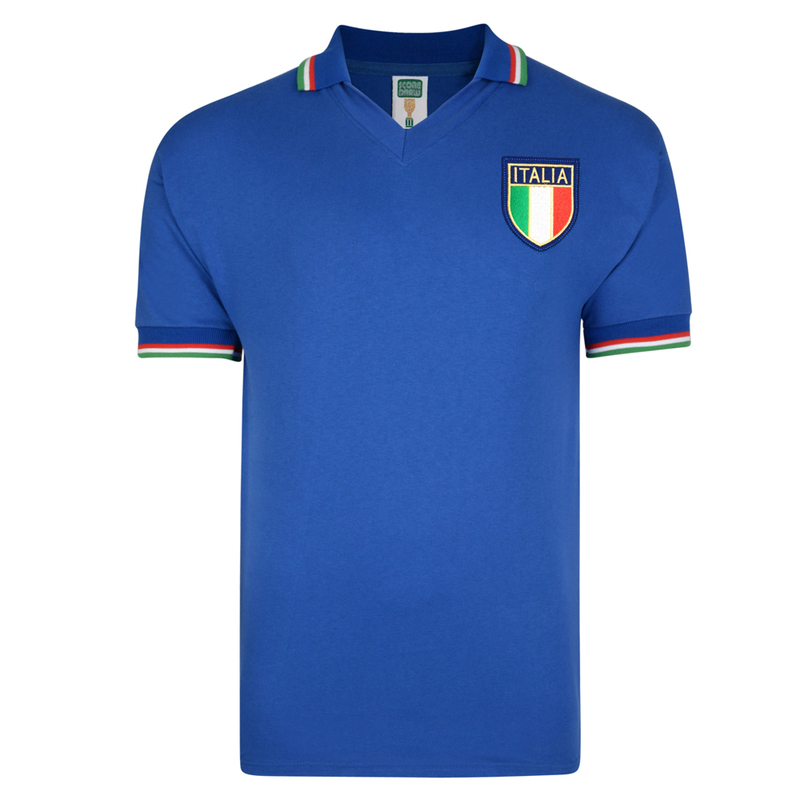 Italy 1960s Away Retro Football Shirt. Rome 1966 Copa Italia Retro Football Shirt. Available direct from 3Retro Football for just £25. Available direct from Toffs Ltd for just £39. Available direct from 3Retro Football for just £30. Available direct from SubsideSports.com for just £29.99. 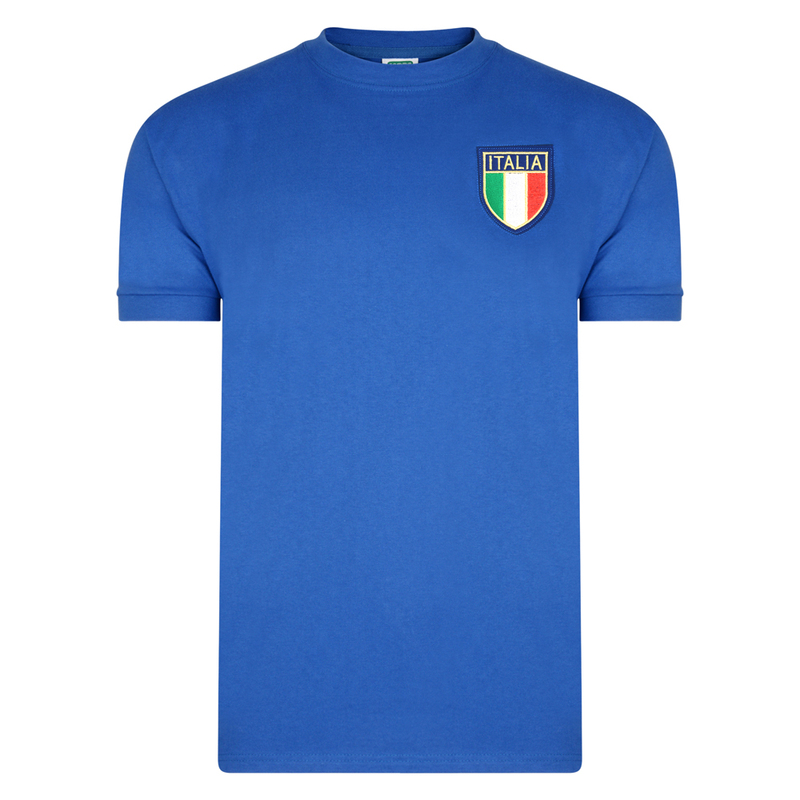 Italy 1982 World Cup Away Retro Football Shirt. This jacket was worn in the World Cup in 1982.It has ITALIA printed on the back. Italy 1983 Retro Football Shirt. Italy 1983 Away Retro Football Shirt. Italy 1990 World Cup Home Retro Football Shirt. Italy hosted the World Cup in 1990 for the second time, reaching the Semi-Finals on this occasion. Available direct from SubsideSports.com for just £16.99. Oldfootballshirts.com have been appointed official store partners for online retailers including Kitbag who sell Scoredraw Retro Replica shirts, Subside Sports with their Retake range and the world famous TOFFs with their extensive range of retro shirts and jerseys. Worldwide shipping is available from all our suppliers.